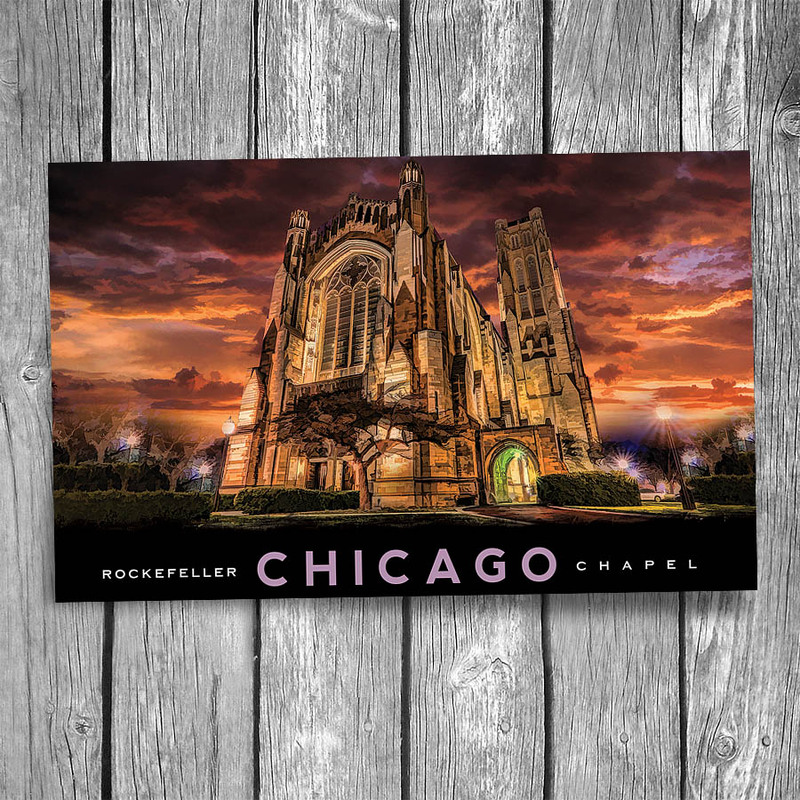 Rockefeller Chapel Sunset Chicago Postcard | Christopher Arndt Postcard Co. 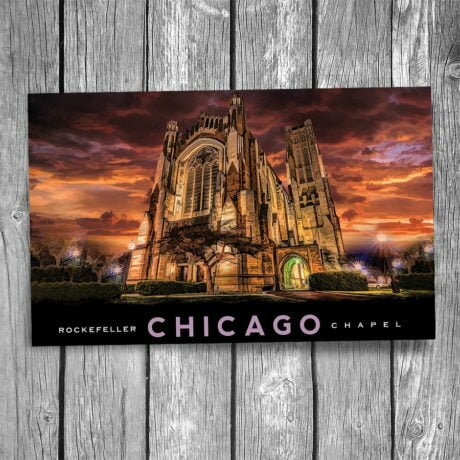 Modeled after the cathedrals and historic college chapels of the British Isles, Rockefeller Chapel is built entirely of stone and serves as the ceremonial and spiritual center of the University of Chicago. Completed in 1928, the chapel was the final gift to the University from benefactor and founder John D. Rockefeller. 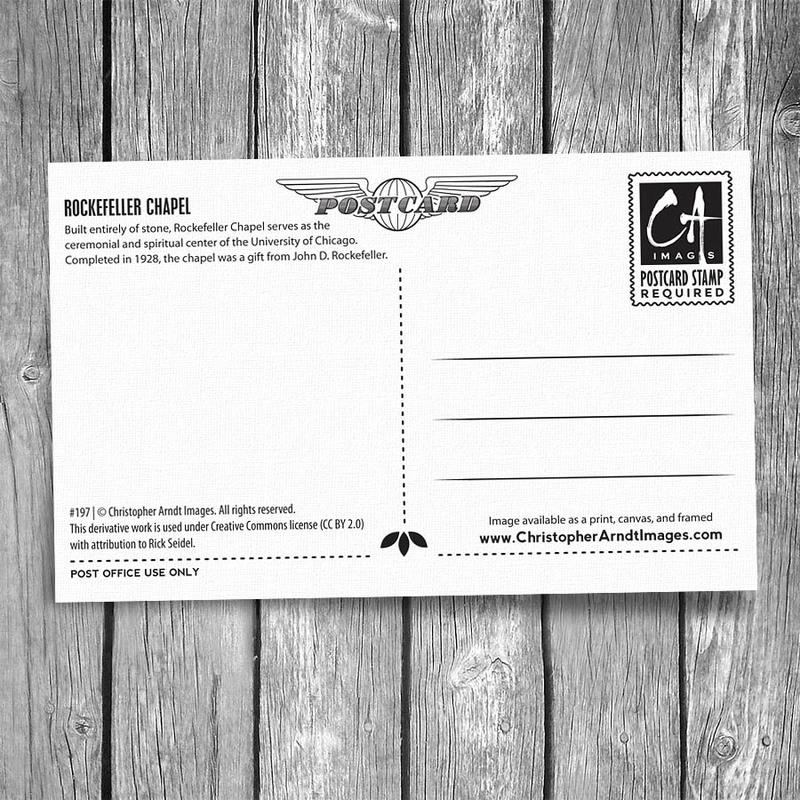 CHGO-197 | © Christopher Arndt Images. All rights reserved. 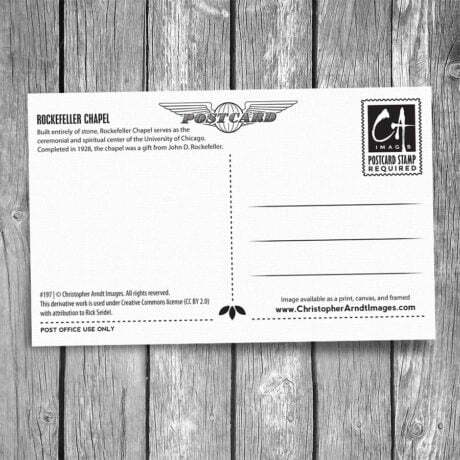 This derivative work is used under Creative Commons license (CC BY 2.0) with attribution to Rick Seidel.